Smoking is just traditional BBQ. Basically, you cook your food at low temperatures on hot coals and add in hardwood for that special smoky flavor. 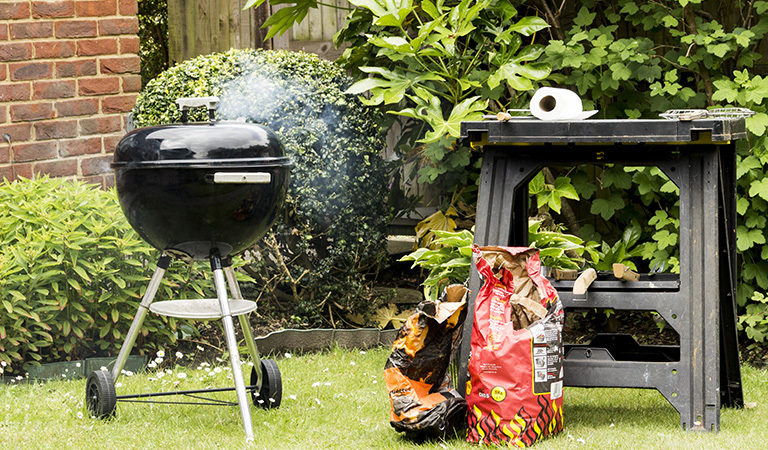 Whether you have a standard kettle-type grill or a smoker, setting up a charcoal grill for smoking is easy. 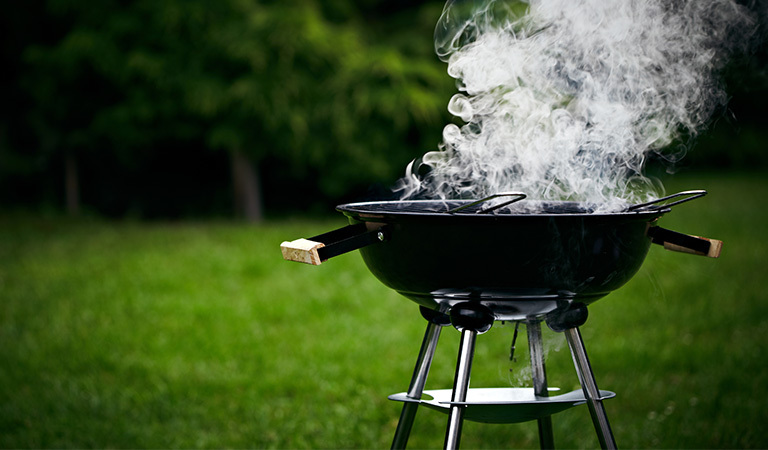 Just follow these 6 simple steps and learn how to set up a charcoal grill for smoking. 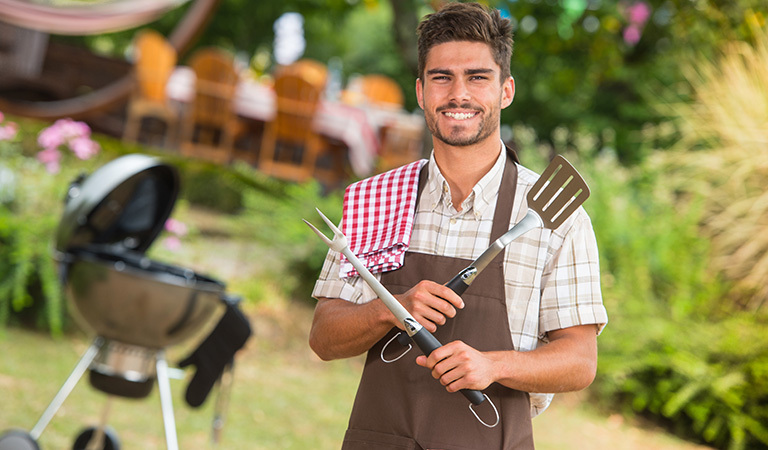 Before you begin, gather all of the necessary equipment and all of your grilling ingredients so that you have them on hand. Make sure you have the right charcoal smoker for the job. Grab your coal, wood chunks, and a water pan. You’ll need these for making food. Light an entire chimney full of charcoal and divide it in half. You can set up a charcoal grill to get that smoky flavor by adding hardwood. 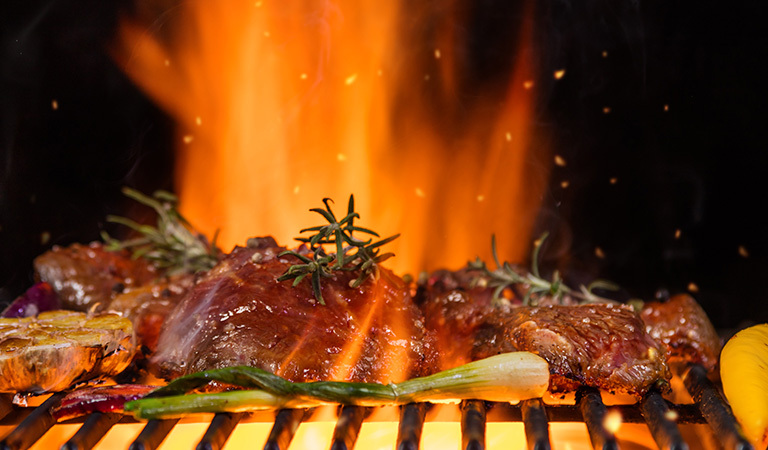 Using flavored hardwood will determine what kind of smoky flavor the meat ends up with. Mesquite, oak, and hickory build a bold flavor for meats like pork and beef. For more delicate meat like chicken there are fruity flavors like apple and cherry. 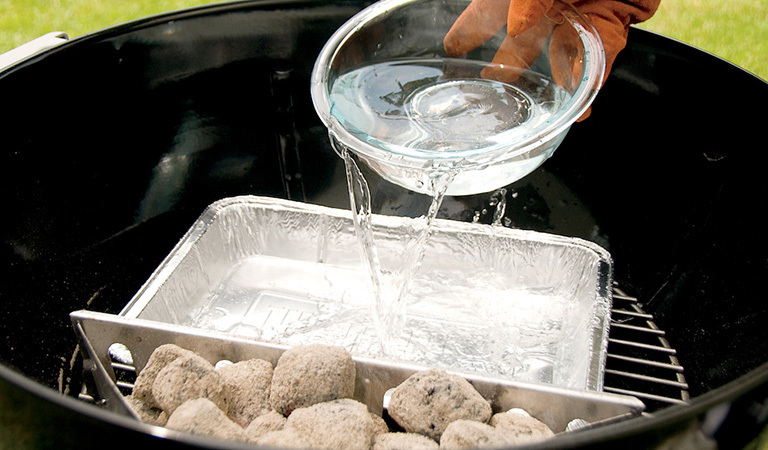 Fill the water pan ¾ full with cold water and put it in the middle of your coals. Now you can place your food on the grate, making sure it’s over the smoke area. The lid should be positioned so that the vents are positioned above the meat. If you need to cook for a long time on a smoker, the best way to do it is called the burn down method. 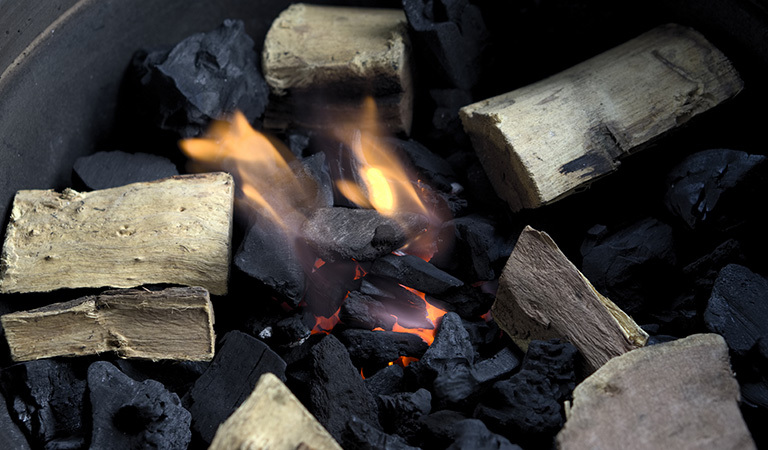 Fill your charcoal bed with unlit coals and light some of the ones on top. 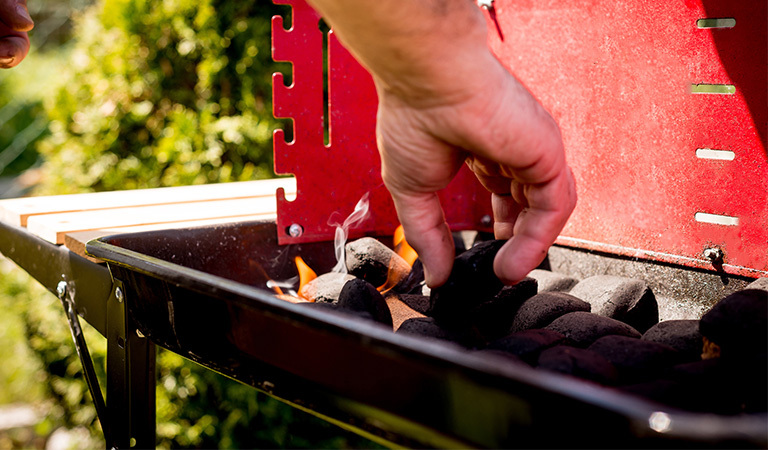 The coals on the top will slowly light the coals on the bottom, letting the smoker cook gradually over time, making sure your food smokes thoroughly. If you need to cook in high heat, use a hot water foil pan. It will create a moist and hot environment as well as help in maintaining the temperature by retaining heat, which prevents any drastic temperature fluctuations during grilling. If you own a kettle grill, build a charcoal snake. 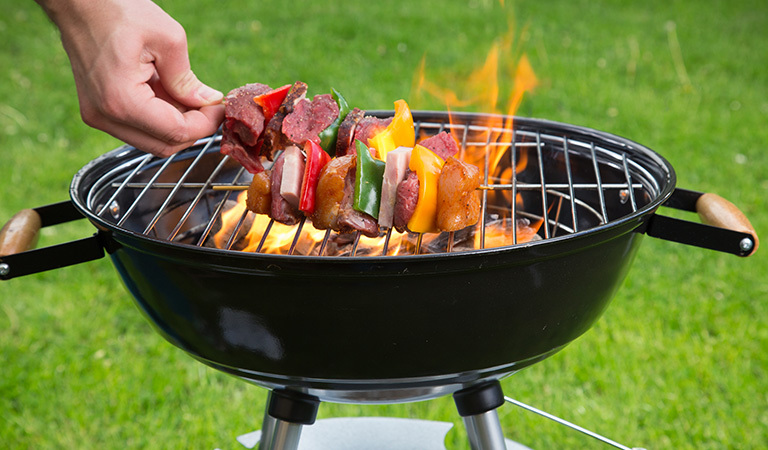 In order to do this, lay unlit briquettes in a single row around the grill edges. Then add two more layers over the first. Also add wood chunks or chips for additional smoky flavor. Take a foil pan with hot water and place it in the center of the briquettes. Light 6-8 more briquettes. Pile these at the beginning of the charcoal snake. This will allow the briquettes to burn slowly and for a longer period of time. Wait a few minutes and put your meat on for grilling. If you want a longer burn, add coal to the snake’s end. 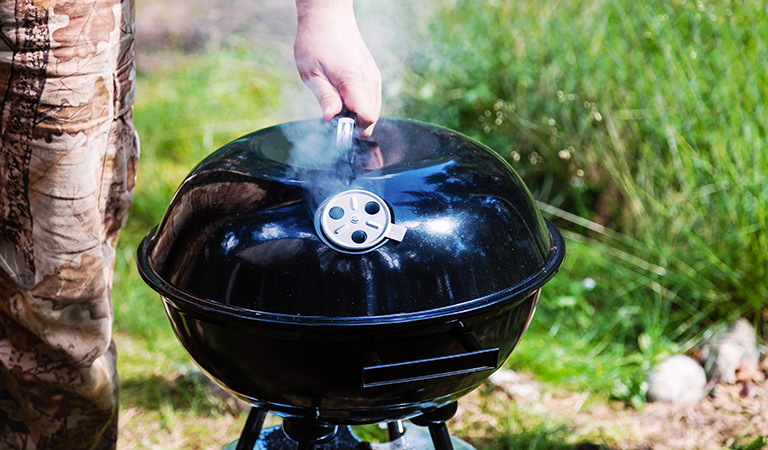 Knowing how to set up a charcoal grill for smoking is simple with these 6 easy-to-follow steps. It sure beats having to buy a smoker if you already have a charcoal grill! Just remember not to peek at your food too often or you’ll let the smoke escape. 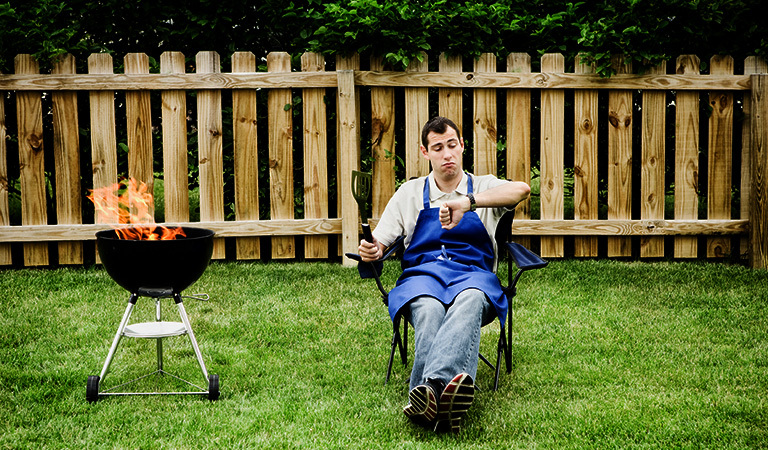 Also, get in touch with us if you need to know more or any suggestions – Grills Forever team is always there for you! 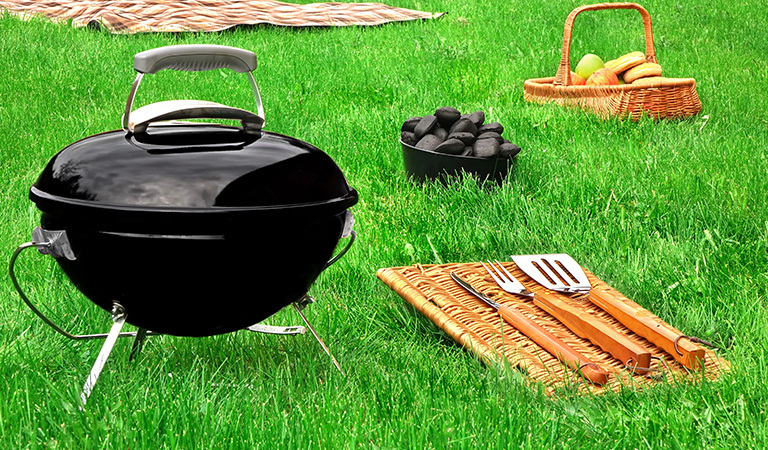 Previous article27 Indoor Grill Gift Ideas Under $30 to Make Your Party Live! Really happy to see how our visitors liking our write ups. magnificent issues altogether, you simply received a new reader. What would you suggest in regards to your post that you simply made some days ago? Any certain? Which post are you talking about actually? Can you name it please? A lot of thanks for all of your work on this web site. Ellie delights in making time for investigations and it’s really easy to see why. My partner and i know all relating to the powerful mode you make very useful information on your web blog and welcome response from some others on the subject while our princess has always been learning a whole lot. Take pleasure in the rest of the new year. You are always doing a powerful job. What’s up? How was your practical experience facing such issues? Did our blogs really helped you out? After study a couple of of the weblog posts on your website now, and I really like your means of blogging. I bookmarked it to my bookmark web site listing and will likely be checking again soon. Pls try my website online as properly and let me know what you think. Please share our things if you like them. And I will be checking your site soon. Will be in contact through mail. Youre so cool! I dont suppose Ive read something like this before. So nice to search out somebody with some authentic ideas on this subject. realy thanks for beginning this up. this website is something that’s needed on the internet, somebody with a bit of originality. useful job for bringing something new to the web! Thats an overwhelming appreciation. Take our love. I want to show thanks to this writer just for bailing me out of this particular difficulty. Because of checking through the the web and getting notions which are not powerful, I figured my life was over. Being alive minus the answers to the issues you have fixed by way of your article is a critical case, as well as those which may have negatively damaged my entire career if I hadn’t noticed the blog. That natural talent and kindness in maneuvering all the pieces was excellent. I’m not sure what I would’ve done if I hadn’t encountered such a step like this. It’s possible to at this time relish my future. Thank you very much for your skilled and amazing help. I will not hesitate to refer your web site to any individual who needs tips about this problem. We will convey your admiration to our writers. He will be delighted to hear from you. Thanks for your sincere judgement on our creations. Grill for Smoking & Grilling | Grills Forever <Loved it! Pretty! 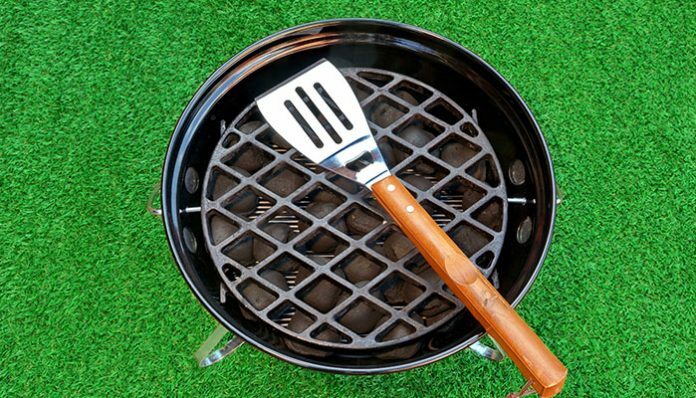 Did you implement these tips while setting up your charcoal grill? Would like to hear your experience! You made some first rate factors there. I regarded on the web for the issue and found most people will go along with with your website. Such comments will certainly help us go a long way further! Keep sharing the love!